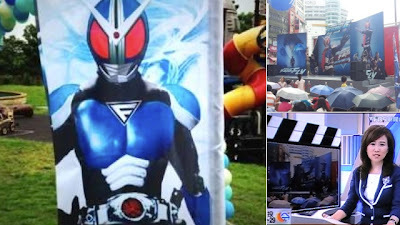 Last June 27th, Taiwan's TVBS reported that the upcoming tokusatsu hero movie entitled, "Space Hero Fly" is an obvious rip-off of Japan's Kamen Rider. 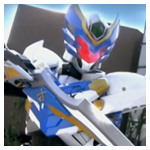 The similarities where first unnoticed in Taiwan and in Mainland China until someone pointed out that this new hero is an obvious rip-off of Kamen Rider. 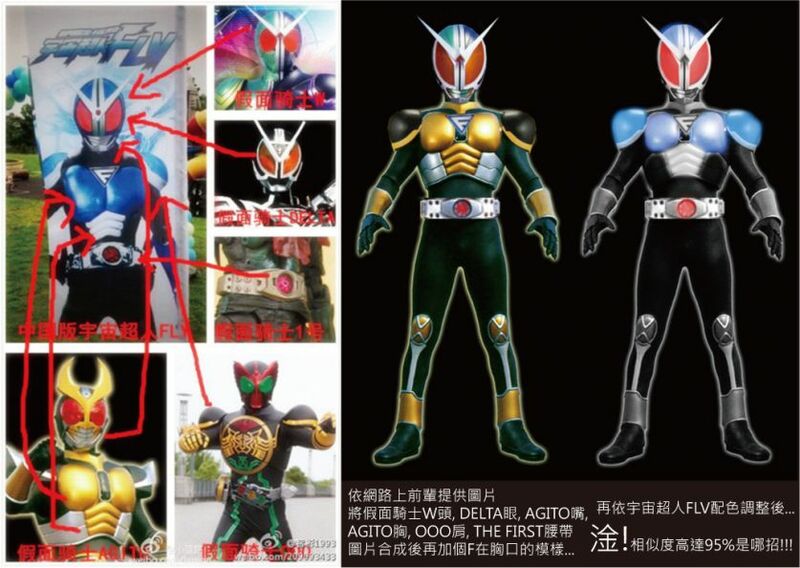 The news report broke down the character design one by one, revealing the parts "inspired" by Kamen Rider. 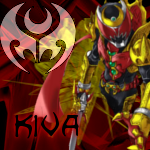 Space Hero Fly rip-off designs coming from Kamen Riders Kuuga, Agito, Delta, #1 (THE FIRST Ed. ), Double and OOO. With that in mind, will Toei or Ishimori Prod. file a lawsuit on the company who "created" Space Hero Fly? That is for us to find out in the near future. Zuletzt geändert von W-B-X am Mo 7. Jan 2013, 14:25, insgesamt 1-mal geändert. Der blaue Suit hat was, nur die Mischung aus Agito Ground & Cyclone Joker sieht zu extrem zusammengewürfelt aus. 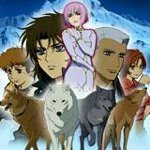 Ein Film davon könnte ganz witzig werden, falls es jetzt überhaupt noch dazu kommen wird. Sieht aber ansonst'n ganz nett aus. nur die Mischung aus Agito Ground & Cyclone Joker sieht zu extrem zusammengewürfelt aus. Ist ja auch bloß ein Photoshop, der die Ähnlichkeiten besser zeigen sollte. We have reported last year about a Taiwanese Kamen Rider rip-off called "Space Hero Fly", recently a trailer for the said Kamen Rider rip-off surfaced online. Entitled, "Machi Action", it is about the life of a former superhero actor after his show was revamped. This comedy-action film centers on an actor who played the role of Space Hero Fly, a popular superhero. But because of executive meddling, his show was revamp and introduced a new hero that replaced him in the show. The movie is about him finding a new acting job after he was fired from his show while at the same time, he goes on a soul searching on what it means to be a hero. Watching the trailer, much to my surprise, it is about what happens after a superhero show ends and gets replaced by a new one! It is something that it is barely talked about in the tokusatsu genre to begin with. This is getting more interesting and I can't wait to see this subbed in the future! Machi Action is set to premiere this January 13, 2013 in Taiwan. Coming this January 18th is an inspirational superhero film “Machi Action”, starring actor Bolin Chen as the Cosmo Universe Space Hero Fly. But due to its show's ratings, a new show will replace it. “Machi Action” is an inspiration story of an actor who got his show's axed due to low ratings. And it was replaced by a new show with a cooler suit and a younger actor. What will happen to him now? Will he find a new job? Space Hero Fly became a topic between tokusatsu fans due to its similarities on different Kamen Riders, including W, Kuuga, and Agito. While, Space Hero Face's suit is nearly similar that of Iron Man's. Directed by Zhang Shilin, “Machi Action” premieres this January 18th. Check out the film's official Facebook Page for more news about the project.